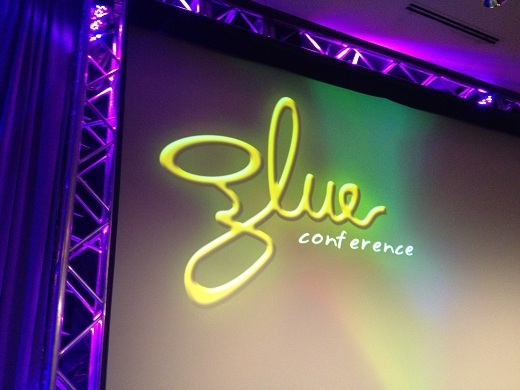 It was a couple of hard-fought days, but the GLUE Conference hackathon has come to an end. With every group displaying at least some working product, we saw creative uses of APIs. Teams and solo entries alike battled it out for prizes that totaled $8,000 in value. In the end, 6 teams and 2 “lone wolf” entries were rewarded, and there’s some stuff in here that you’ll actually want to use. Two people decided to go it alone. Though they did get help when requested from the rest of the teams, they largely worked by themselves. Dan Moore hacked together an app that he calls Real Estate Here & Now. It takes Craigslist real estate listings, mashes them up with census data and then makes use of the FullContact API for those folks who might be foolish enough to use their real email address for the listings. Jeremy Haberman created RainGauge. It’s an app that integrates Weatherbug so that you’ll know when to water your lawn, and how much water to use. So what happens when you put AT&T’s Cloud Connect API to use? How about automatic document conversion? Now take it a step further and you’ll have what Rene Garcia, James Francey and Matt Dodge created — an app that will take your documents, convert them to PDF every time that you put them into a specific Dropbox folder. Alex Gaber and Greg Thompson made Grex. It’s an HTML5 app, created in Tiggzi, for both iOS and Android that turns Twitter handles from conference badges into complete contact information. Simply amazing work from the team, who were literally still hacking it out over lunch on the final day. Chips in one hand, compiling code with the other, Grex was even listed in Google Play in under 24 hours. Flicks@ is a handy little tool for recommending movies to your friends. Prabhu Velayutham, Dave Fauth and Lou Paglia created the app, which interfaces directly with Netflix, so that you can toss flick recommendations to your friends. If you’ve ever been a system administrator, there’s nothing quite as bad as waking up to hundreds of angry emails because something has broken. Joey McDonald felt that pain, and then eased it by creating an app called System Attack Notification. It uses log-based information then ties in to the AT&T API to send notifications when they’re needed most. Dinner and a movie, anyone? Nathan Faubion and Jeff Olchovy hacked together Tasteful Movies. It’s a mashup of Pearson’s Kitchen Manager recipe API and Netflix. The idea is that you’ll get dinner and a movie recommendations based on keywords related to the items that you have in your pantry. All said, the Hackathon did the API providers, as well as GLUE’s attendees, proud. We’ll be looking forward to using these apps if they come to the public. For those who developed them, if I didn’t get your Twitter profile linked, drop me an email and I’ll do so swiftly. Read next: Did Apple remove Airfoil Speakers Touch to copy its features in iOS 6, or is there another reason?